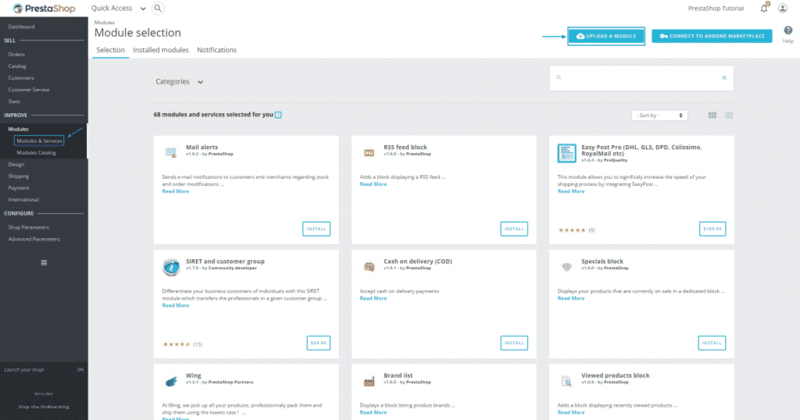 PrestaShop has around 50 built-in modules which you can manage via the dashboard. However depending on your specific needs you might want to extent the application’s functionality by installing additional modules. 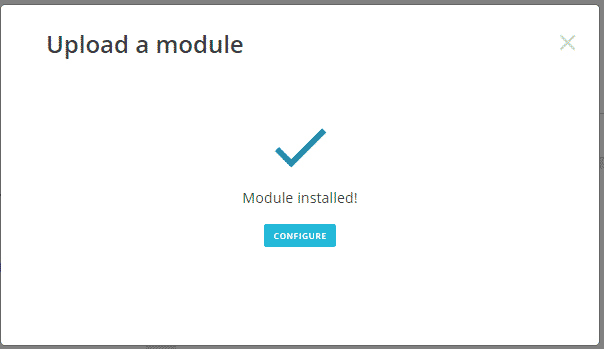 To install a new module you will first need to download it on your local computer. Free and paid modules can be downloaded from the official PrestaShop marketplace which is available here. Please make sure that you download the appropriate module for the exact version of PrestaShop you are using. If you download a module designed for a different version of the script it would be incompatible and you would not be able to install it. Now you can proceed with its configuration. That’s it. Your new module is successfully installed in a few clicks.